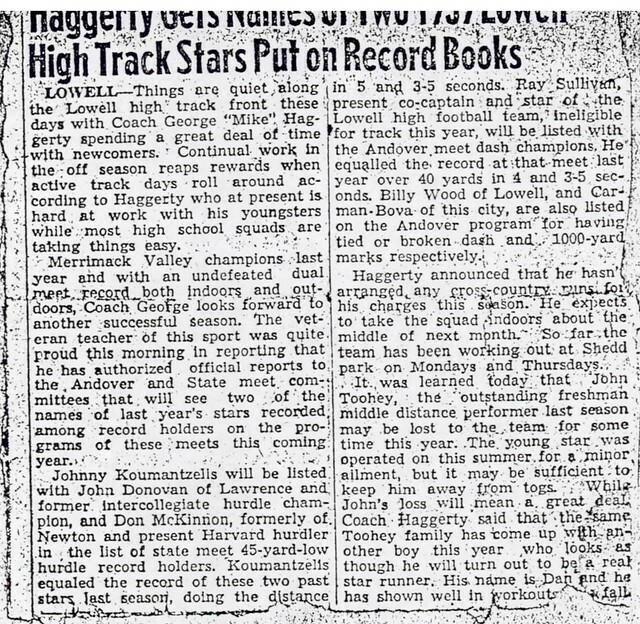 A famous athlete himself, Mike Haggerty lettered in baseball, football, and track at both Lowell High School and Boston College. 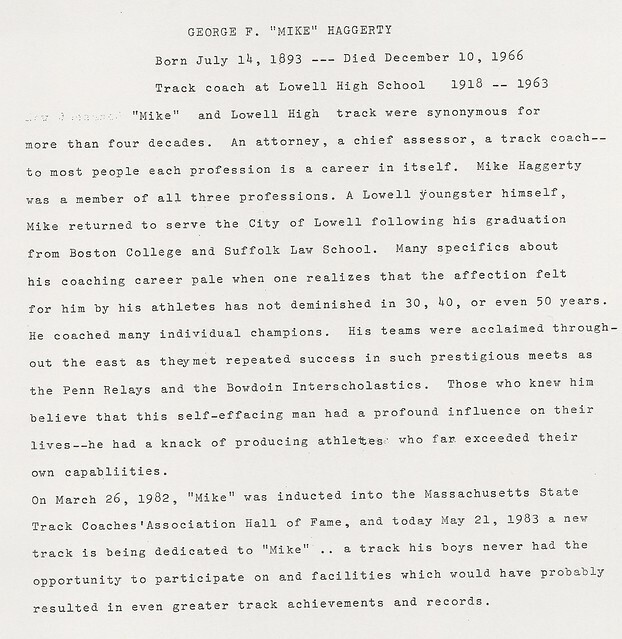 However, it was as a track coach at Lowell High School that Mike left on indelible mark on several generations of Lowell High School athletes. 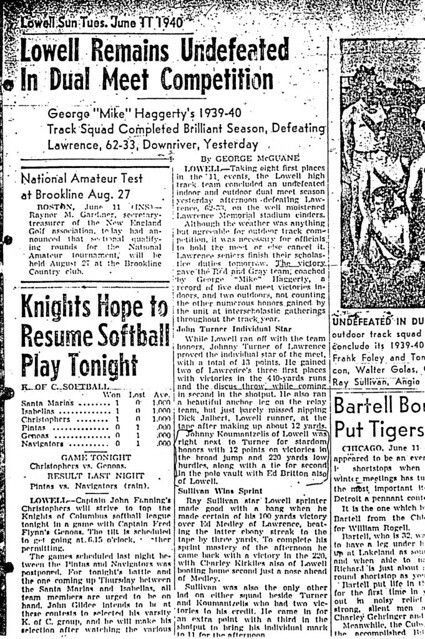 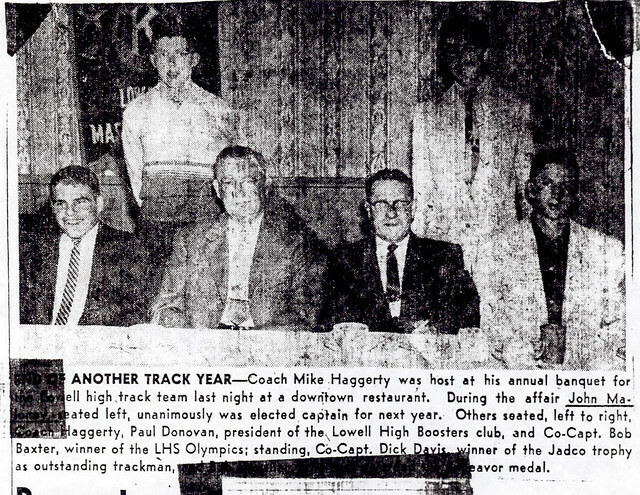 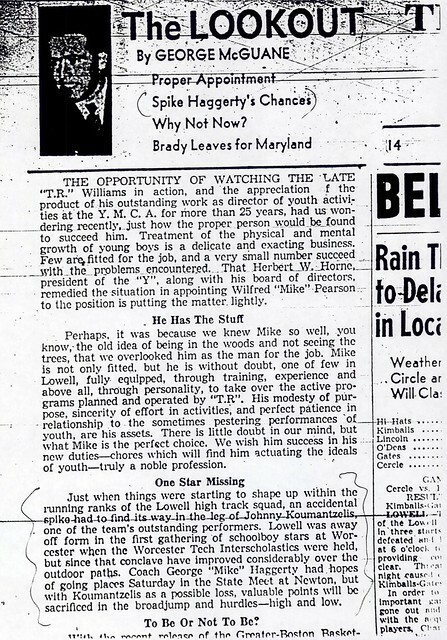 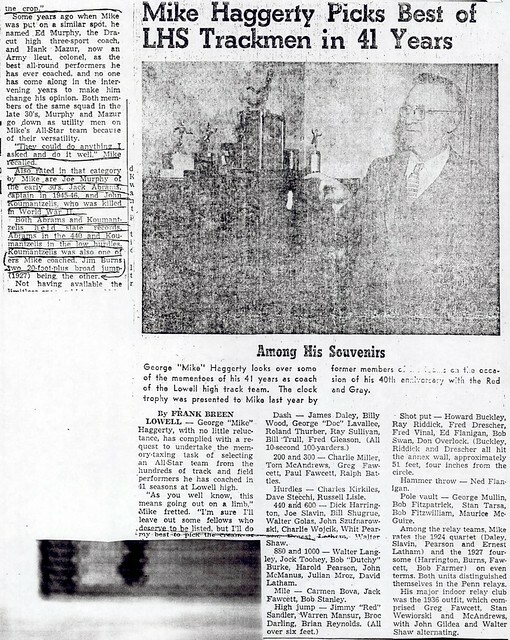 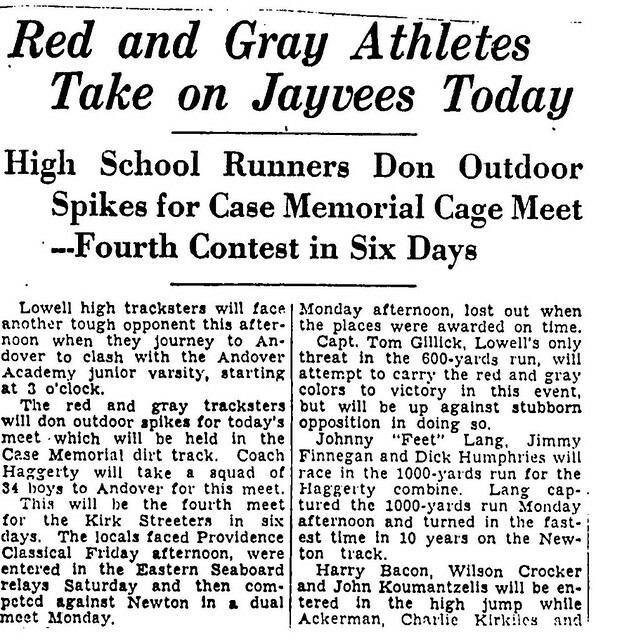 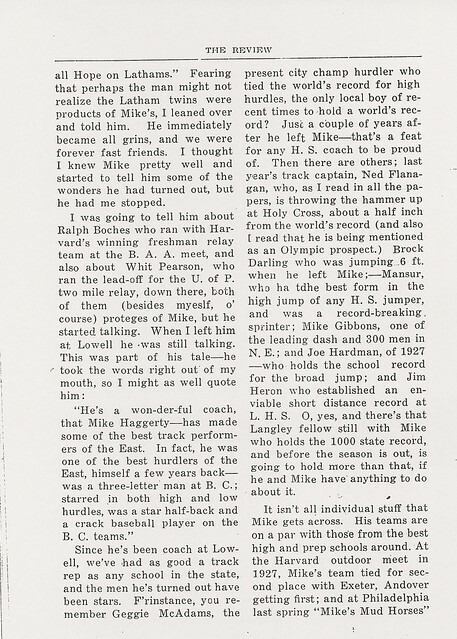 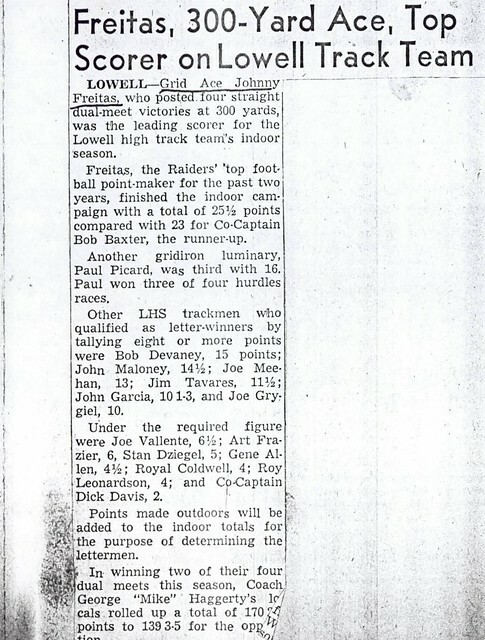 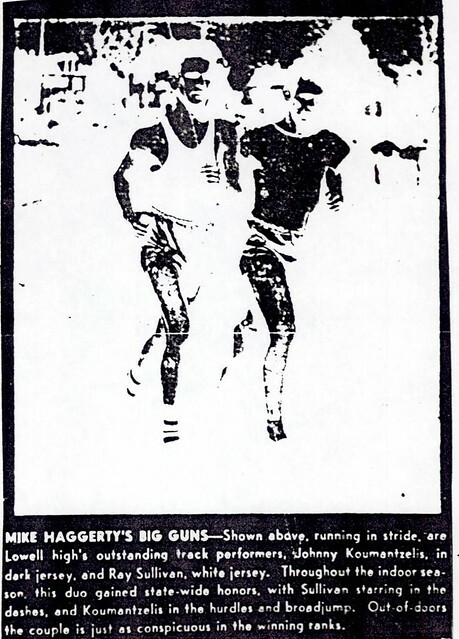 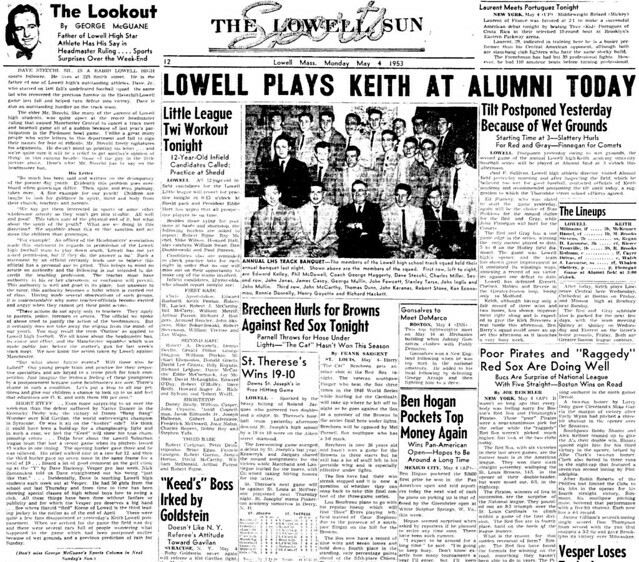 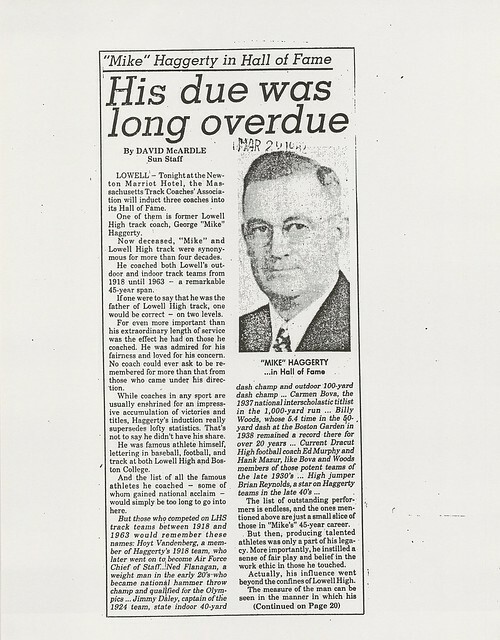 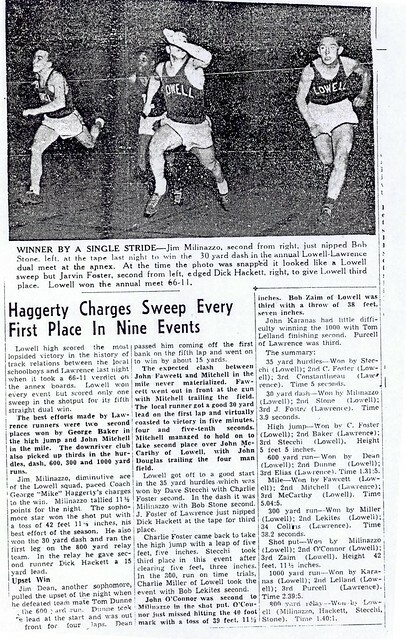 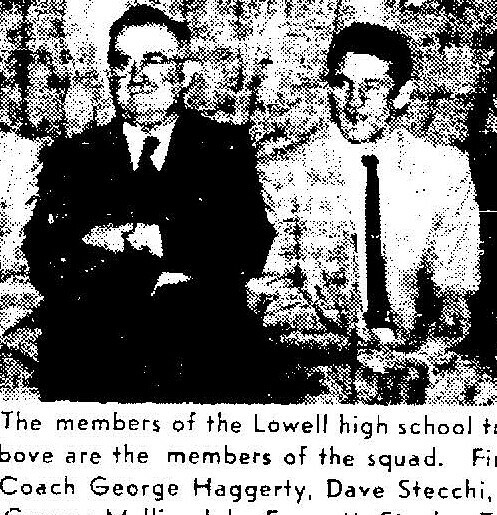 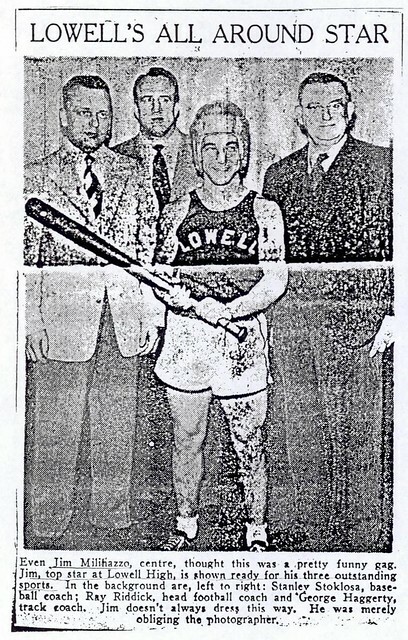 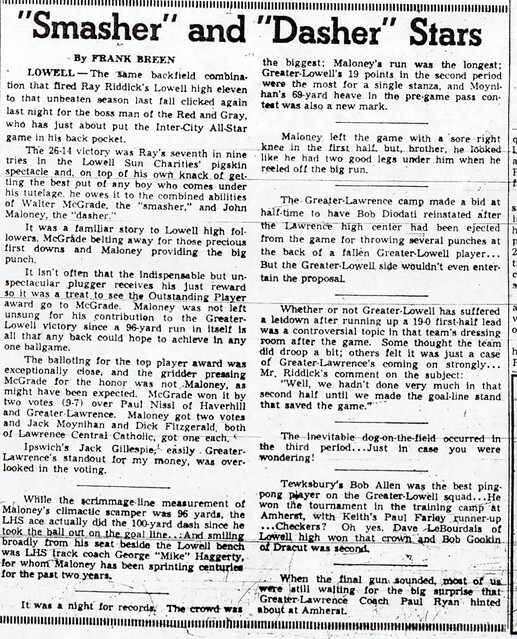 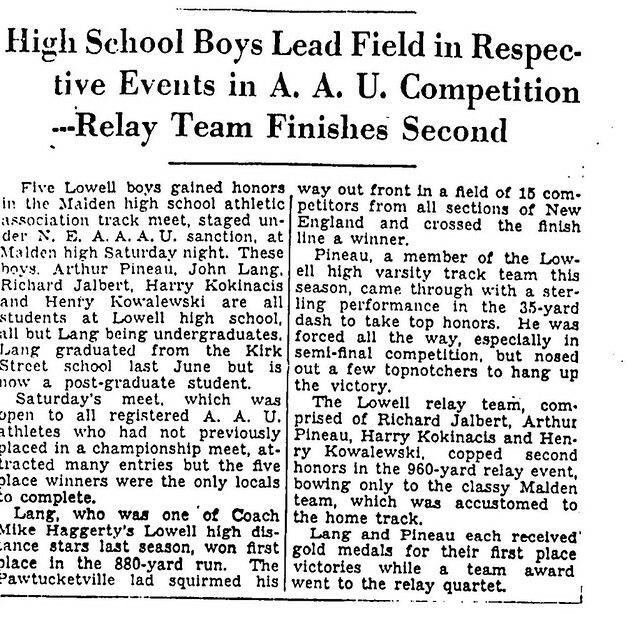 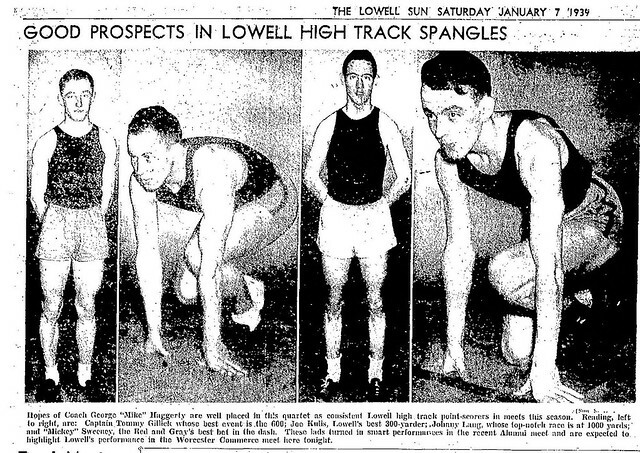 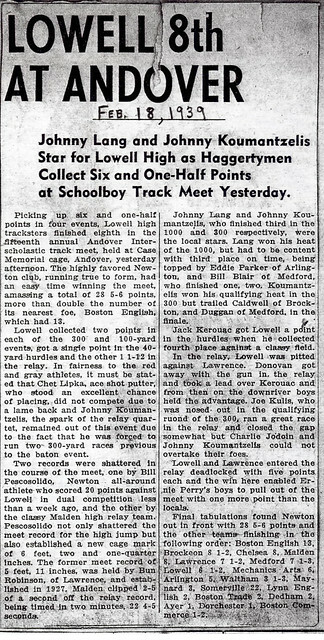 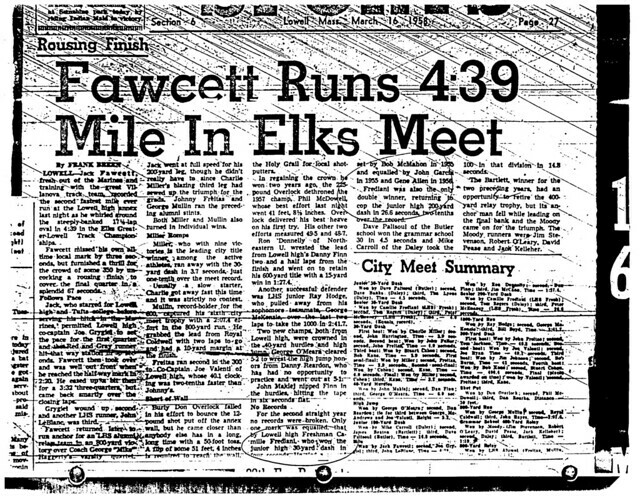 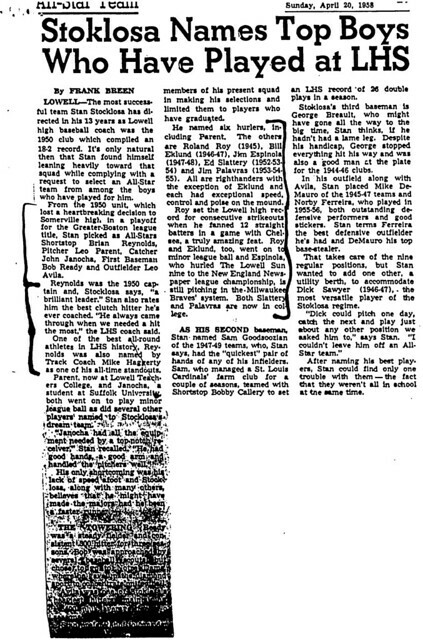 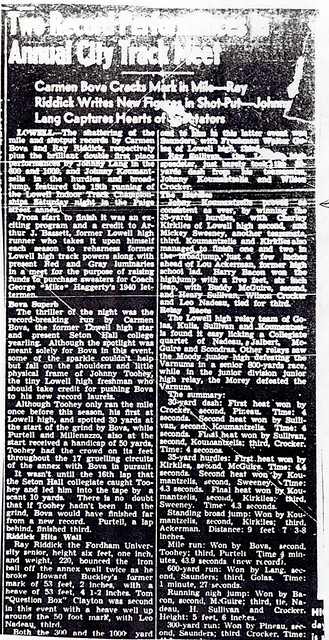 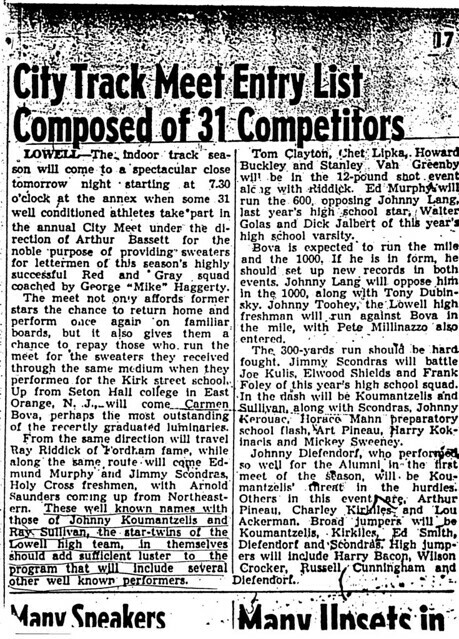 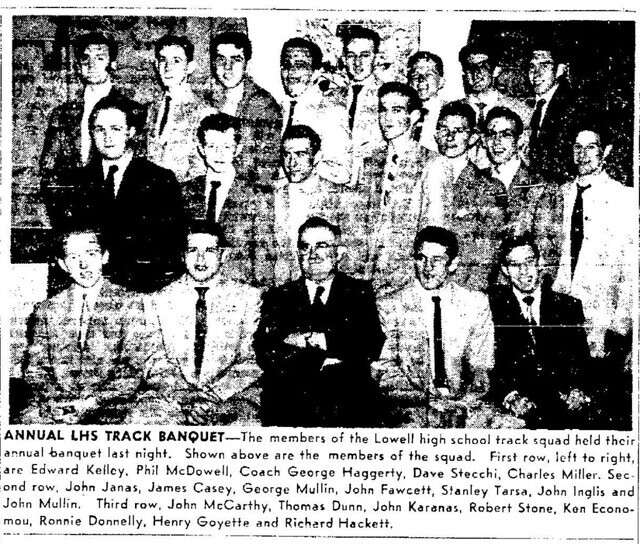 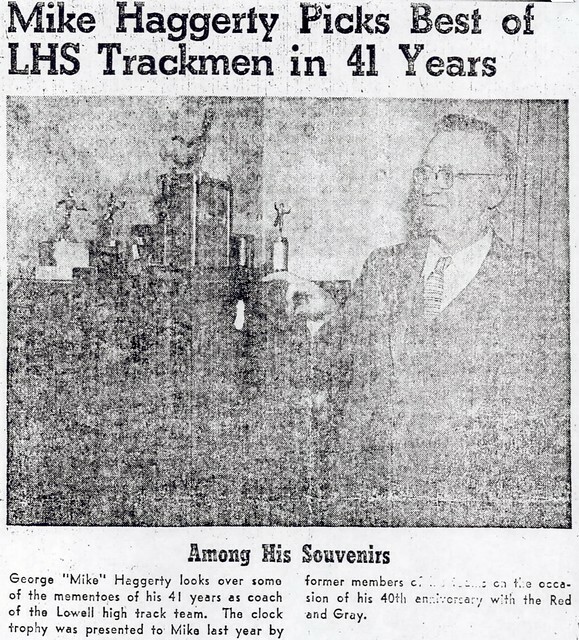 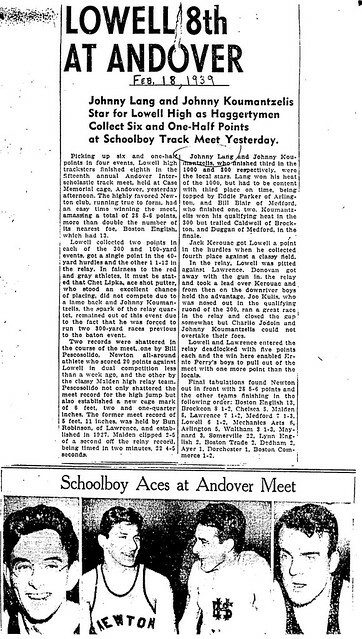 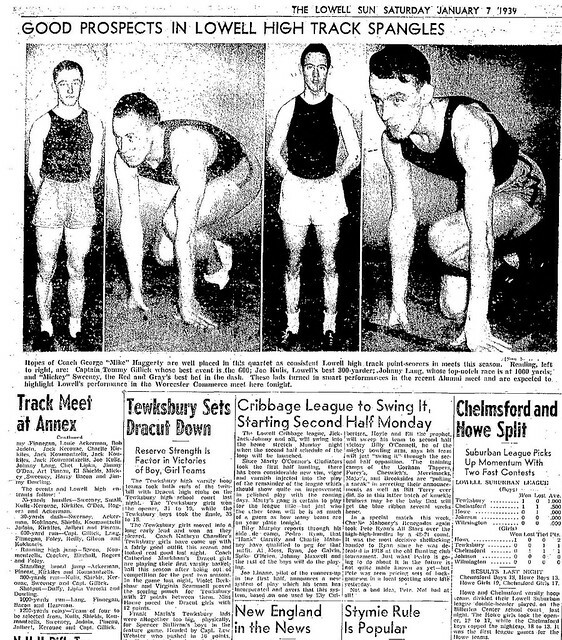 Mike Haggerty served as Boy’s Track Coach at Lowell High from 1918 to 1963–an incredible 45 year span. 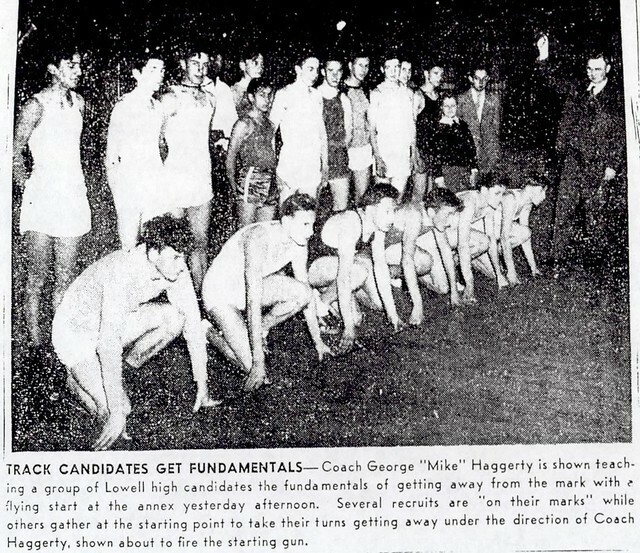 During that time, he coached over 1000 athletes in over 700 meets. 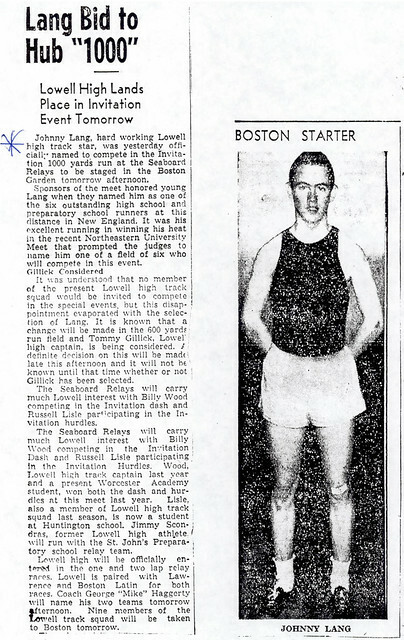 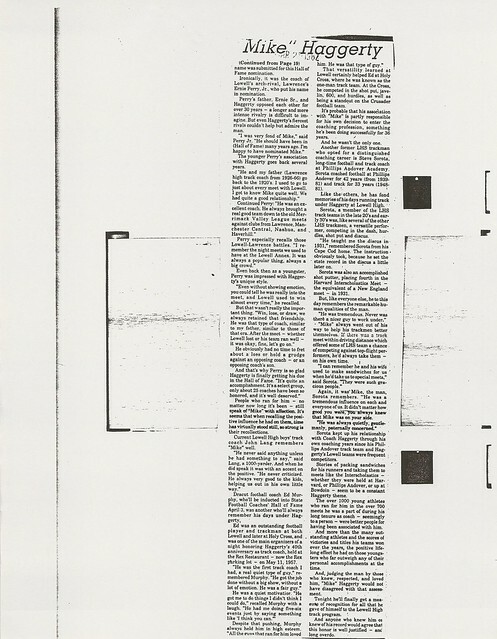 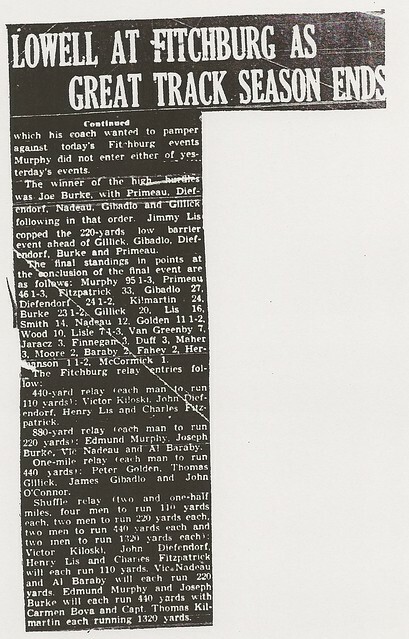 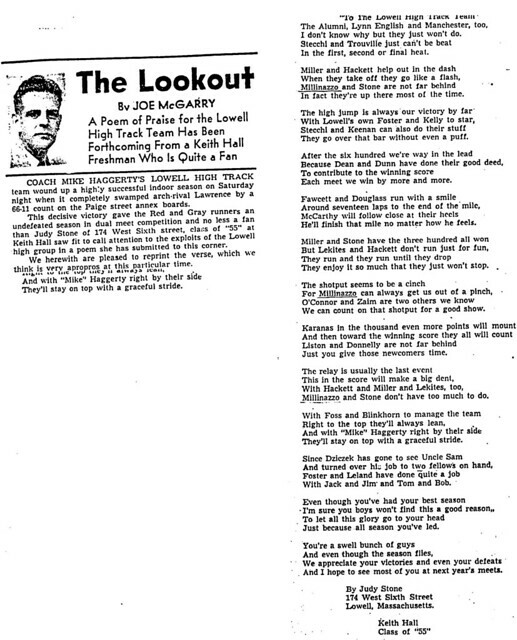 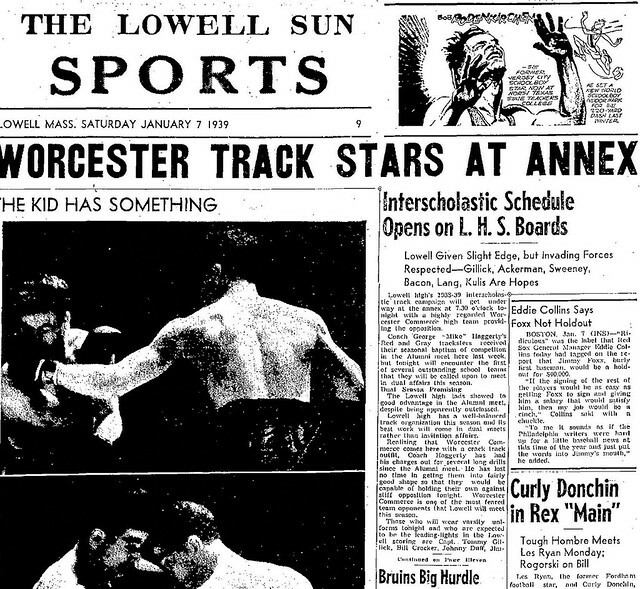 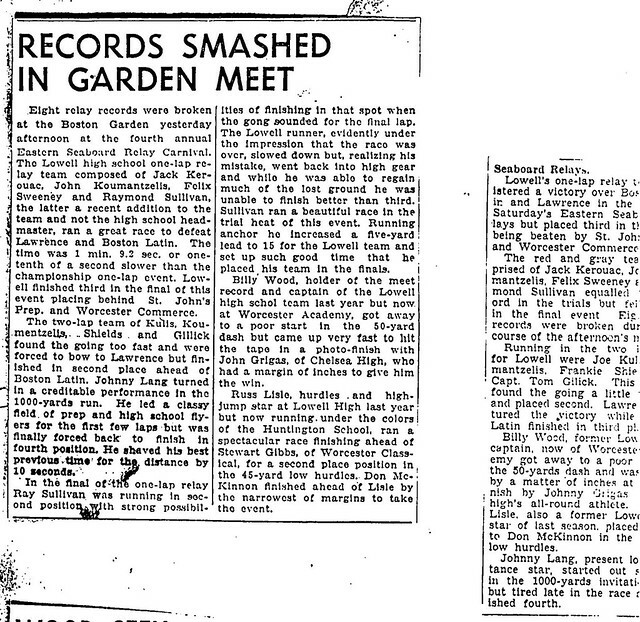 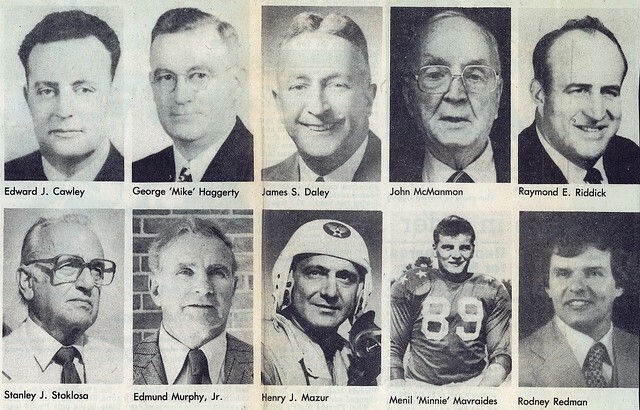 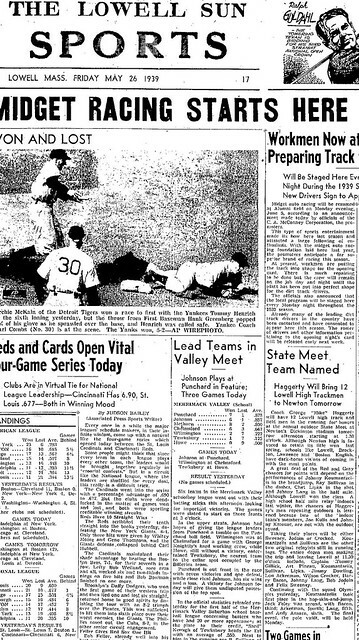 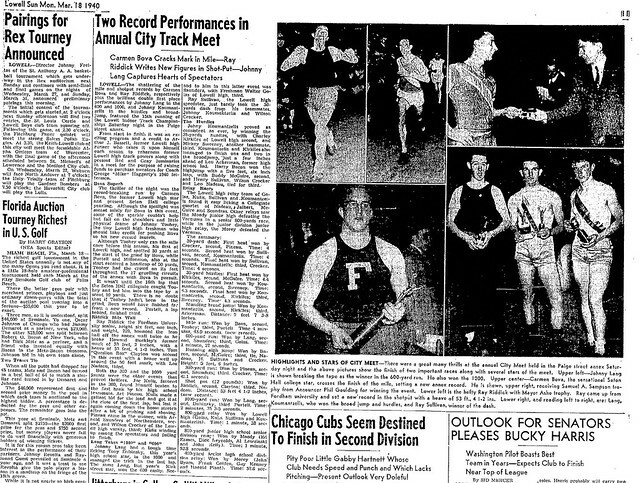 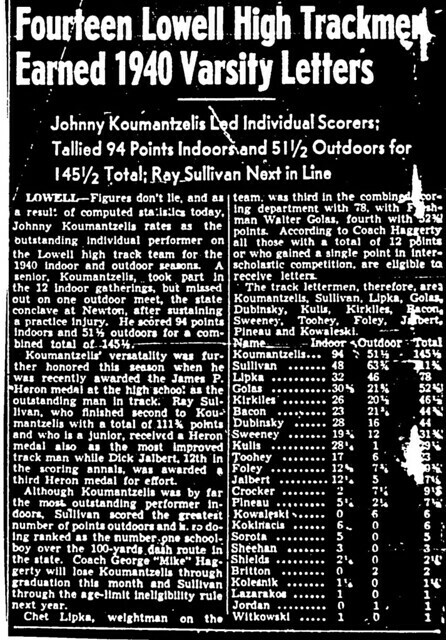 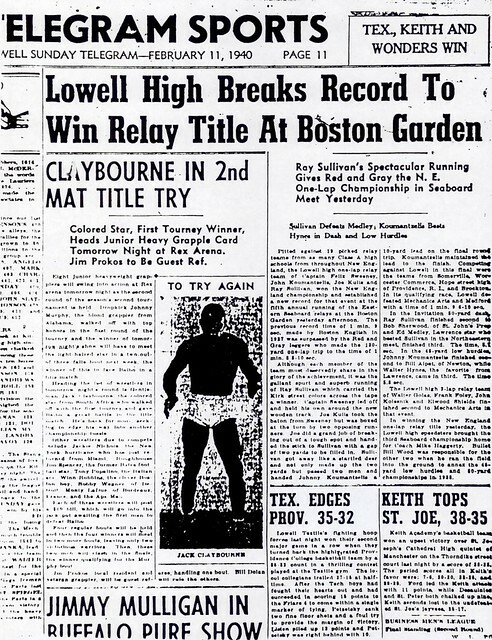 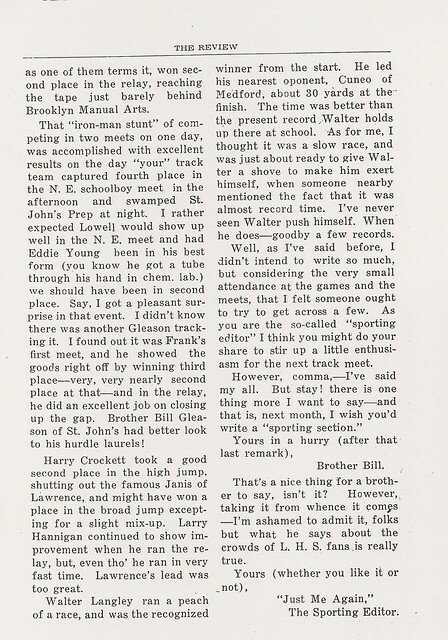 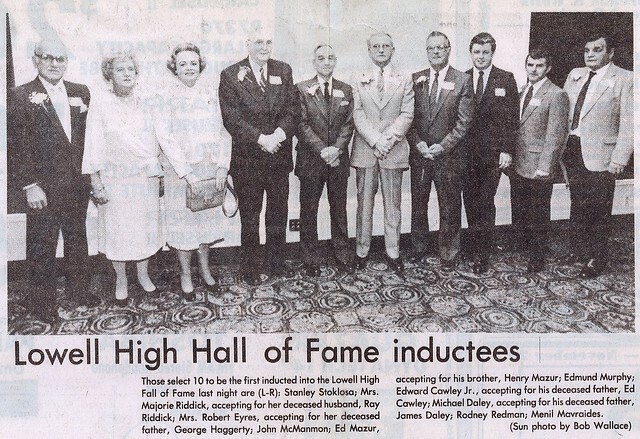 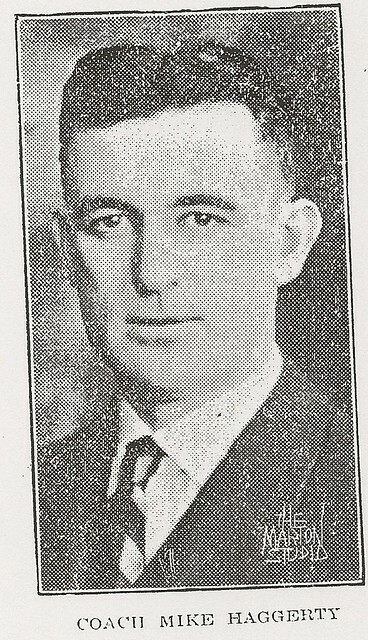 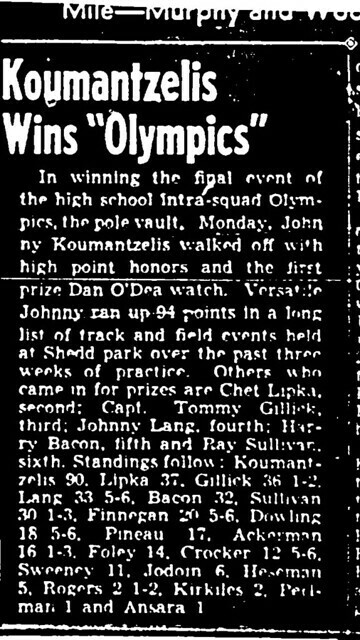 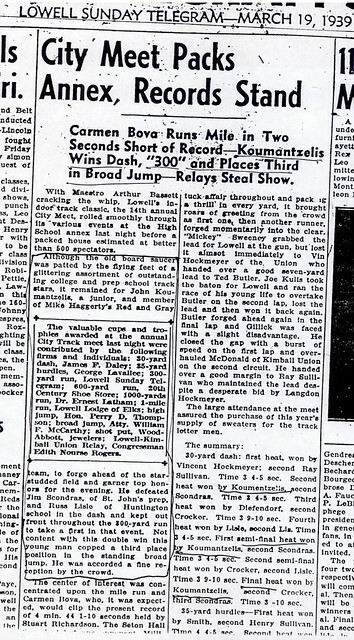 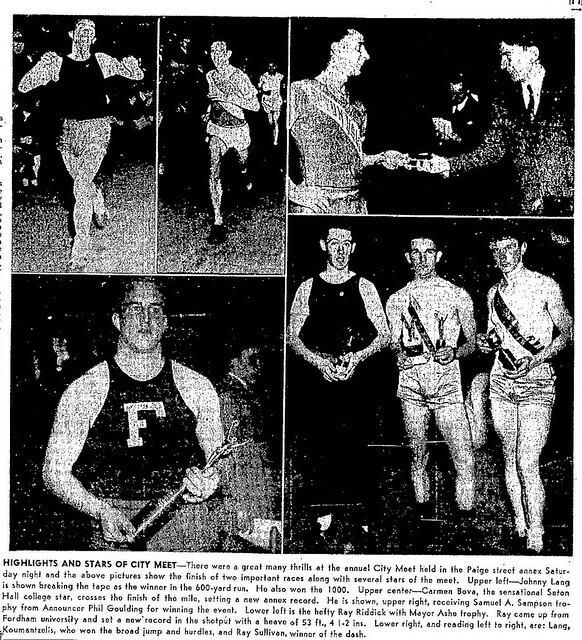 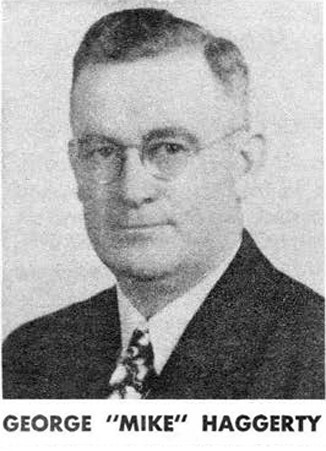 His athletes included a virtual Who’s Who of Lowell High greats–Riddick, Murphy, Mazur, Woods, Bova, etc.–many of whom achieved national and world-wide stature in the sport at track. 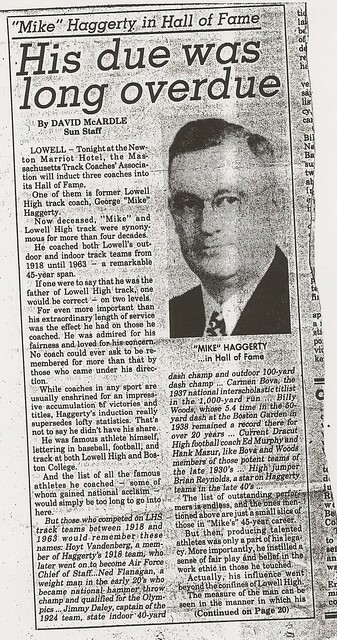 Eminently more important than his won-lost record as coach were the attributes of fair play and hard work he instilled in those athletes through his tutelage.